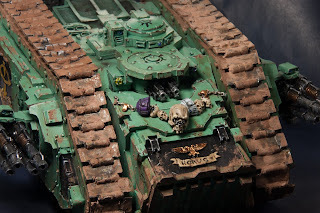 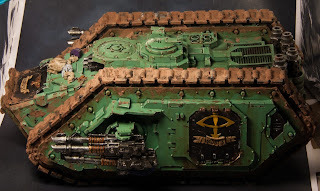 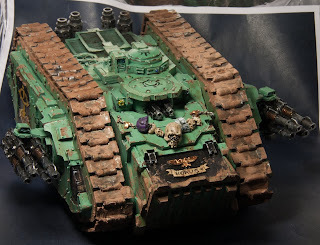 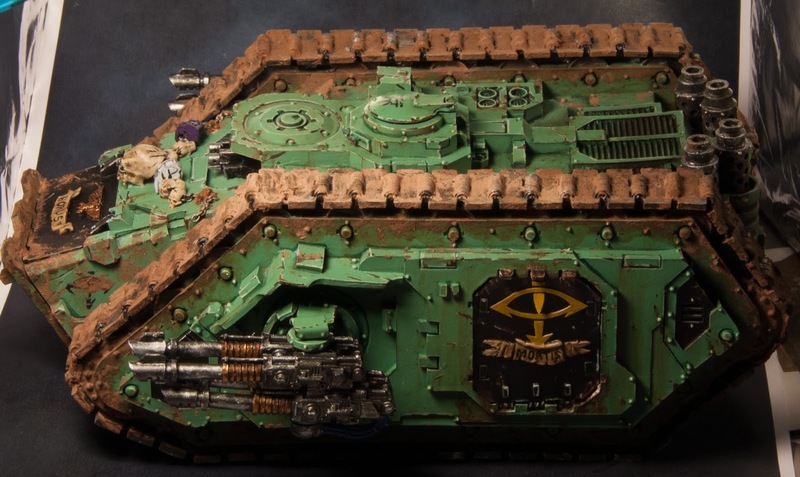 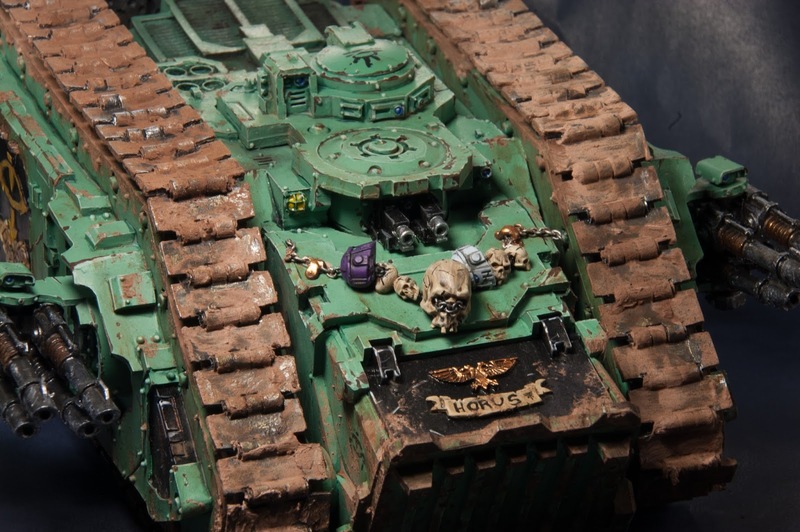 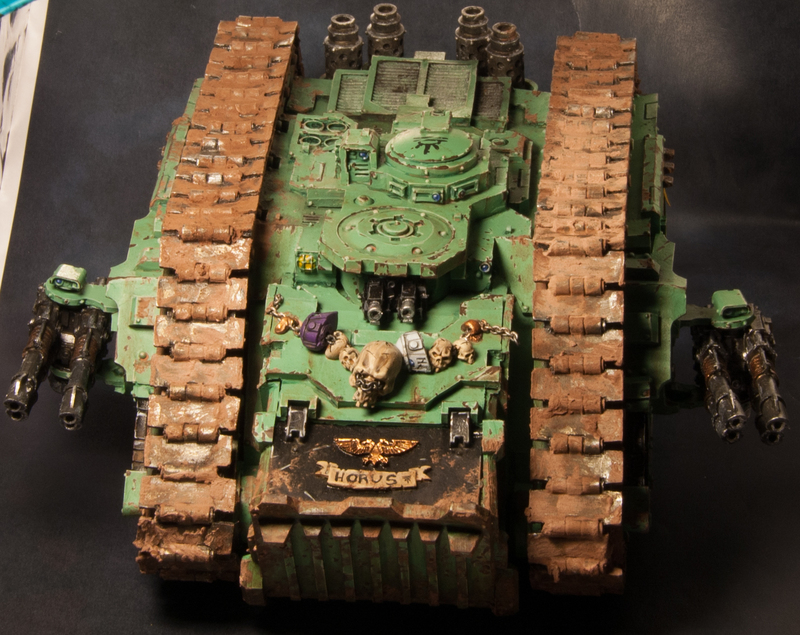 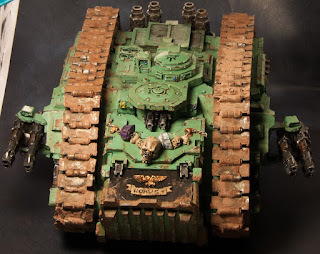 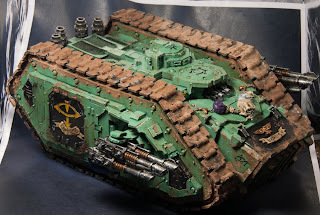 I am really happy to show the last vehicle of the Army, a Land Raider Spartan! 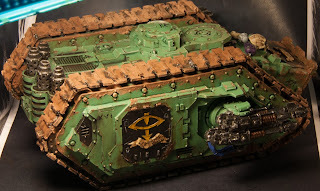 This is a huge vehicle, that I painted using only brushes, so it took me quite a while. 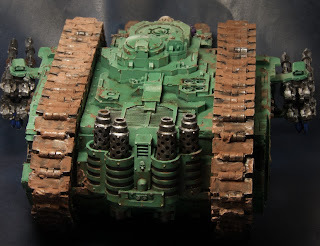 I have followed the usual methods described in other posts, with a bit more care on the weathering effects. I made a huge mistake when it was almost finished, as I applied pigments prior to the varnish stage, and when I sprayed the varnish, half of the pigments disappeared and the other half changed colour! 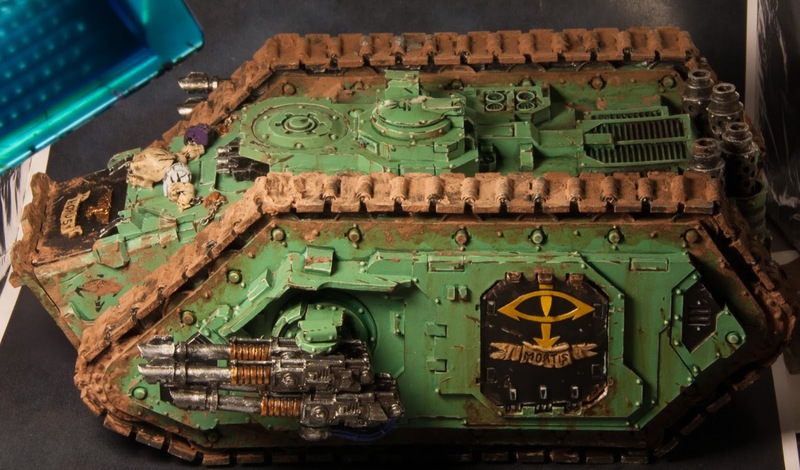 You can see in the following pictures that the tank is so big it does not fit in my custom lightbox, and that the pigments are not really well applied in the tracks, due to the varnish, mainly. 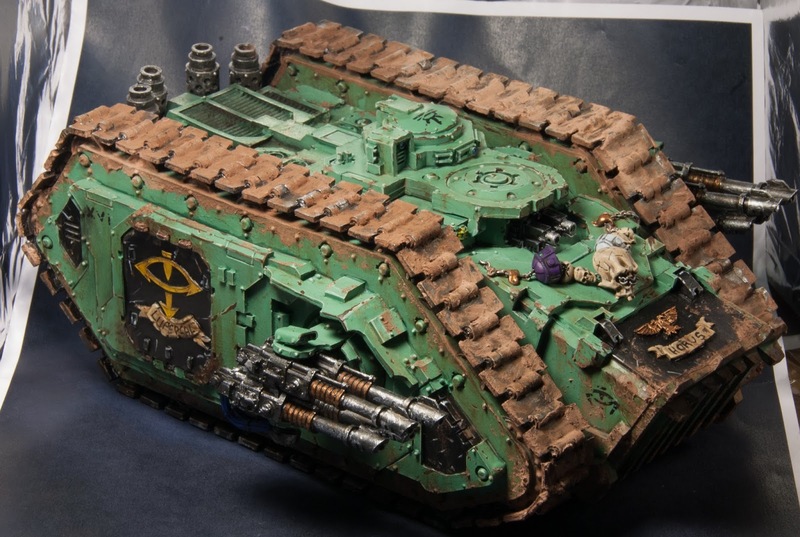 I guess I will need to reapply them in a few months, but that's ok, I just wanted to get this thing out of my desk! 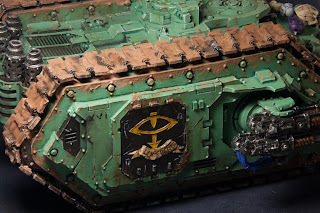 The sponsors are magnetized and I have made a few conversions here and there to add more personality to the tank. I added a couple of scrolls on the doors with greenstuff and a chain with skulls and helmets on the front. 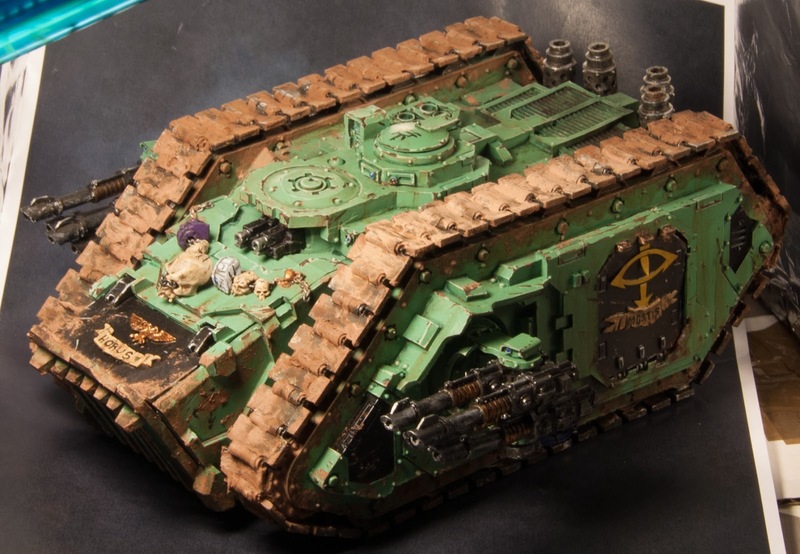 I think the overall effect is not too bad and it suits the rest of the Army. 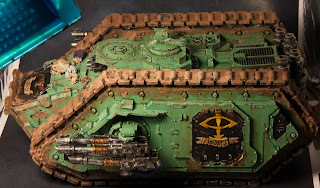 Just a few more figures to go and the Army will be ready, I am starting to be really tired of painting all of this green. This massive tank costs 295 points without any extras. 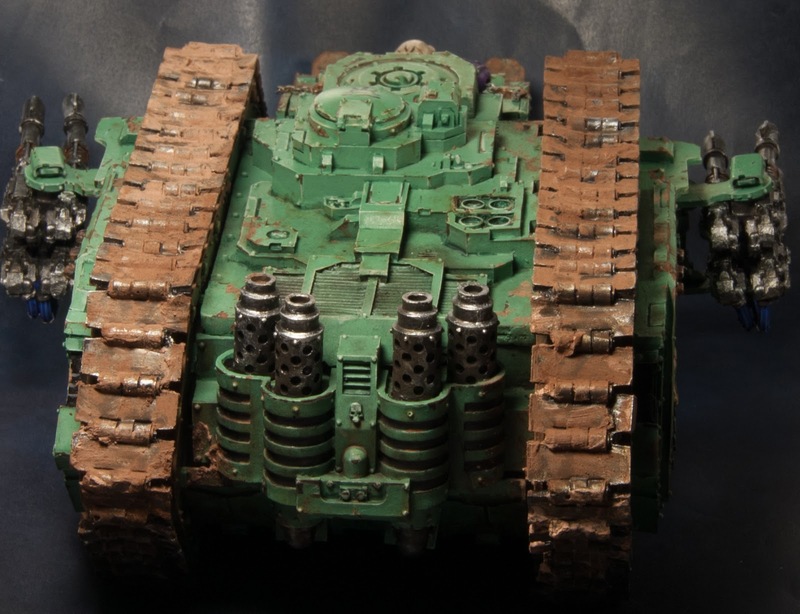 It was painted in 2018.